These last few days of the year are one where alot of reflection takes place on set goals and how good we’ve managed to accomplish them, on great events that took place and how they effected us and on the lessons we have learned and will take with us. A few years ago I already started to promote my new goals for becoming a good Infrastructure Architect with my manager, which resulted in a shift in client assignments for the usual administrative assignments to more Citrix Engineer and design suited projects. And even though I worked as a Citrix Architect on a great Technology refresh in 2010, I managed to write my first solo design for a Citrix XenApp infrastructure at the start of 2011. Getting complemented for the documentation of that design and the impact of it on the environment and related systems was a great boost of confidence. I finally saw myself as a Citrix Architect as well and had fun in this new role. I was even more lucky and was asked to not only design a Citrix XenServer/XenApp/RES Workspace Manager infrastructure for the next assignment, but also implement my design and ensure the administrators would know which skills were needed to support this new environment. Having some info sessions with them and sharing my knowledge on the products was great fun as well. Even though I was already earning my stripes as a Citrix Architect at some major clients, it appeared alot harder to gain the same stature within the company. So I had alot of conversations with managers and practice leads to discover the requirements to gain that Infrastructure Architect status within Logica. One of the easiest requirements was the fact that I was lacking some certifications, so this year I spent alot of free hours studying hard on the different exams I needed to pass, resulting in alot of new certifications. A very good year on getting the certifications to match my knowledge and experience. I did use 2011 to rapidly grow into my new role, designing some great new environments when I was asked to join Logica’s Talent Development Program to facilitate my personal and professional growth at the rapid speed I was displaying currently. Honored I accepted and awaited eagerly the start of the program in September. Due to some economic challenges the program was postponed till next year, which was a big disappointment and made me realize, Logica no longer was able to offer me the support and means to keep my fast growing past going. So it was once more time to keep control on my own career and look for alternatives that would allow me to keep growing and becoming a renown Citrix Architect. To my surprise, my state of service opened a lot of doors to new companies and I had the luxury of having to choose. Following my heart and the enthousiasm with which Kees Baggerman promoted the company I signed up with Inter Access, where I will start on Jan 2nd of 2012. Luckily for me, my partner is very understanding of the goals I set and the sacrifice (of free hours that could have been spent together) that comes with them, so I feel very blessed with her support and the way she is my greatest cheerleader and fan. Even more goals for 2012! So with already making a great distance on the road to becoming that renown Citrix Architect, I’m eager to start 2012 and pick up the pace and work on more social (media) activities, visit some great events (preferably in an active role), sharing my knowledge with the community and working on some great new assignments and picking up on some PowerShell scripting to build some great XenServer scripts. For now I wish you all a great 2012 with new challenges, great virtualization solutions and a lot of fun sharing the knowledge and love for our jobs! ← Where’s the XenServer 6 auto start VM feature? Now that I’ve read your blog my expectations about you grew even more. I look forward to our partnership and hope that we can reach great heights. 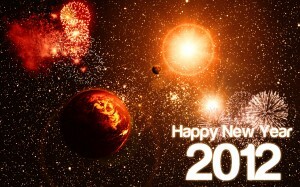 In any case I am glad you are a member of the IA team and hope that 2012 will bring us many challenges. Just wanna comment on few general things, The website layout is perfect, the written content is rattling fantastic : D.